The company MONT-INOX Sp. z o.o. with its seat in Sanok purchased ORBITAL WELDERS. The workers got licenses that allow them to do orbital welding 141/TIG/ORBITAL according to the norm EN 1418 issued by TÜV AUSTRIA. 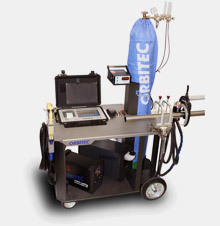 Thanks to this our company guarantees repeatability of high quality fusion welds. Making use of our long-term experience as well as professional equipment, we assure the highest standard of installations for food, pharmaceutical and chemical industries. Cooperate with us! At the beginning of August , Mont-Inox Sp. z o.o. 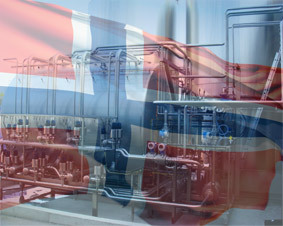 entered the Scandinavian market, due to our Norwegian Client leading the production of natural food. Currently, we are redeveloping our production unit in the areas of assembly and welding. This redevelopment will take about 2-3 months. On the basis of NF Client assurances, we can expect further cooperation in this market from March 2011. Welcome to the MONT-INOX Sp. z o.o. MONT-INOX Sp. z o.o. is a dynamically developing service and trade enterprise that has been operating on the market since 1998. We specialize in the assembly and welding installation of acid resistant steel. Our main activity is the complex assembly of technological lines, performance of process units and industrial plants of inox steel. We produce pressure and pressure-free vessels as well as equipment for food production. We also provide heating and cooling insulation services.